For those of you who don’t remember the 80’s, a mullet is that regrettable hairstyle where you have a normal short haircut on the top of your head and then long hair in the back. In other words, business up front and party in the back. Much like the mullet, the Yampa Valley has a duality to it this time of year. It might still be fall down here by the river, but up on the mountain, it’s full-on winter. Business down low, party up top. As the days grow shorter this time of year, the winter seems to creep into our lives a little bit more every day. The air gets a little crisper in the mornings and the brown grass starts to be replaced with white fluffy stuff. These cold nights mean the even when we don’t have any snow in the forecast, the snowmaking team can fire up the guns and get a head start on the season. Fortunately for us, it looks like nature is going to give us a little help later this week. 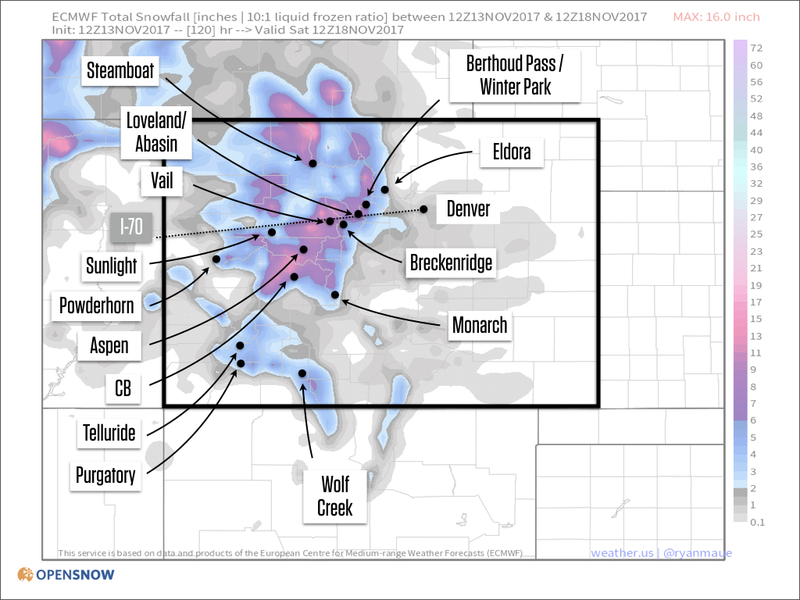 From Friday to Saturday, it looks like we should see 6-10″ of snow in Steamboat and possibly more up on the mountain. With only a few short weeks until ski season starts, every little bit helps. After this storm, it should warm up a bit toward the end of the month, but don’t worry: Warmer storms usually drop a lot of heavy snow. Early in the year, heavy snow helps to build the base up and keep us going for the rest of the year. Pray for snow and try to get some sleep. The season starts next week!